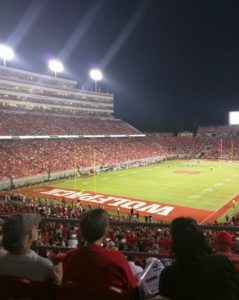 I went on exchange to NCSU, as you can see from the pictures below I had the most amazing time there. I made some incredible friends that became like a second family during my time there. 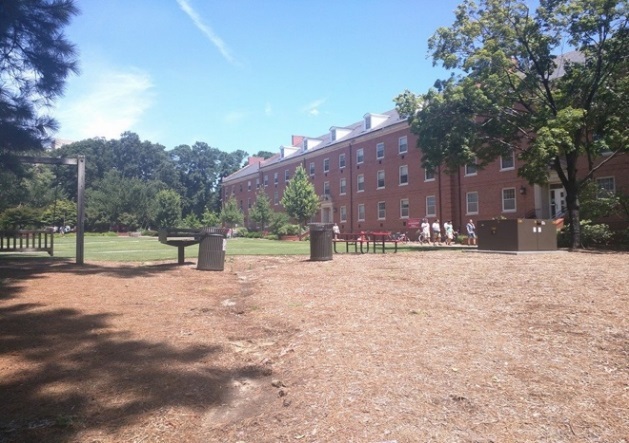 NCSU provide accommodation called Alexander Hall, which is also known as the global village, this is what really drew me to studying at NC State. 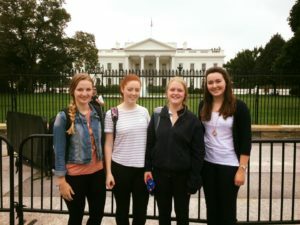 The concept was that each international student has an American roommate, and the student ambassadors would suggest and arrange trips for everyone. 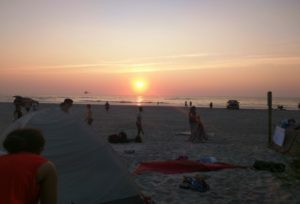 The first one was a camping trip to Wilmington beach which was around 2 hours from the campus; we rented tents and supplies from the university recreation centre. It was a great experience and was a chance for us all the get to know others outside of the campus. With around 100 students camping out, many of us forgetting to bring the basics like bug spray and sun cream. As you can imagine it was a rough night sleep with someone using a blow horn to wake us up at around 6am to see the sunrise. Despite everything that went wrong on this trip I had the best time! Another great experience was our first trip to an American football game, the stadium you can see in the pictures below was huge! Before the game starts most people will go to a tailgate, which happen in the car parks of the stadiums; it’s a social event that involves games, barbeques etc. It was a lot of fun, we did this as an Alexander hall tailgate and at Halloween dressed up in costumes for it. During fall break, with a small group of friends, I went to Washington DC. We got there by train but due to a hurricane our train home was cancelled so we had to get two overnight greyhound buses to get home in time for classes on Monday morning. This meant that we had to cut our trip short so we could make it back before Monday so we only had 2 days there but we made the most of it. We went to all the sights, museums, restaurants and other places that were recommended by friends. The money from Santander really helped me with the cost of studying abroad, I definitely underestimated the costs, but I knowing that and looking back I would 100% do it again.